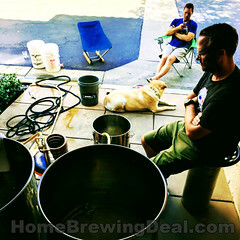 Coupon Description: More Beer currently has a deal of a day that will save you $10 on a stainless steel immersion wort chiller. 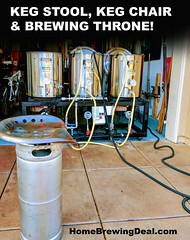 This stainless wort chiller will cool your wort down fast and is great for 5 gallon homebrew batches. Few materials are more durable than stainless steel which is what sets this Stainless Steel Wort Chiller from More Beer apart from other chillers. 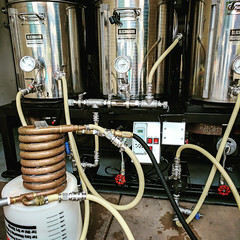 This high quality stainless wort chiller includes 8 feet of tubing attached to both the in and out using a female garden hose fitting on the “in” side, as well as 25 feet of stainless steel tubing measuring 3/8 inch diameter. 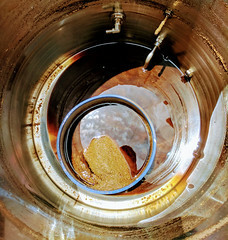 This high quality Stainless Steel Wort Chiller is made by More Beer entirely in the USA!